1. Sign Up at Sonatype. 2. 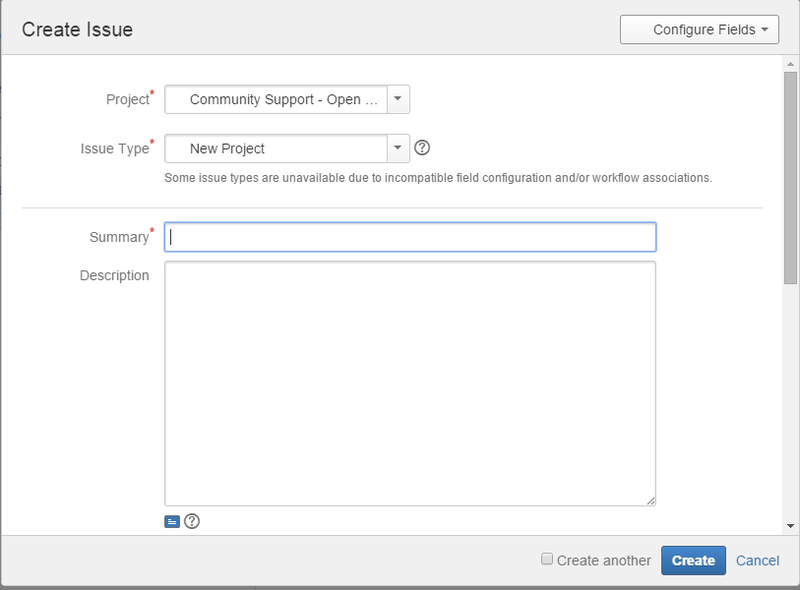 Create your project in JIRA. 3. Create a Key Pair. 4. Create and Sign your Artifacts. 5. Deploy your Artifacts to your Staging Repository. https://issues.sonatype.org/: This is Sonatypes JIRA issue management system. https://oss.sonatype.org: This is Sonatypes Nexus installation. 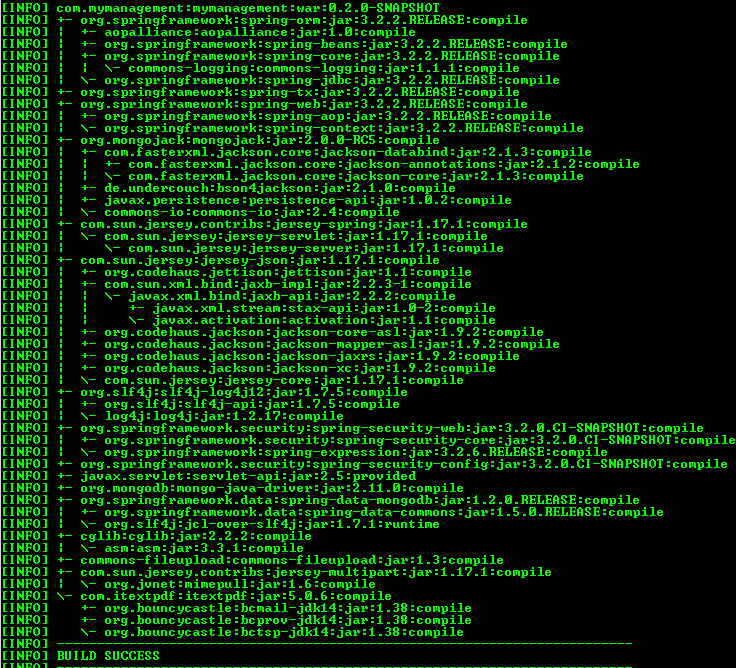 Nexus is a software that basically acts as a collection of Maven repositories. Before submitting the project we need create the jiira artifact. create an issue of type “New Project”. 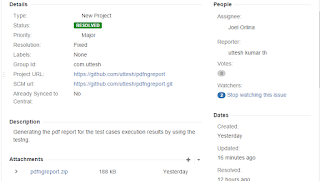 Group Id: your desired Maven group id (your namespace). Project URL: URL to your project homepage. You should have a homepage for your project, even if it is just the frontpage of your github or google code repository. Once the jiira artifact for new project is created successfully,Sonatype developement team will usually respond within a couple hours, but it may take longer – be patient. 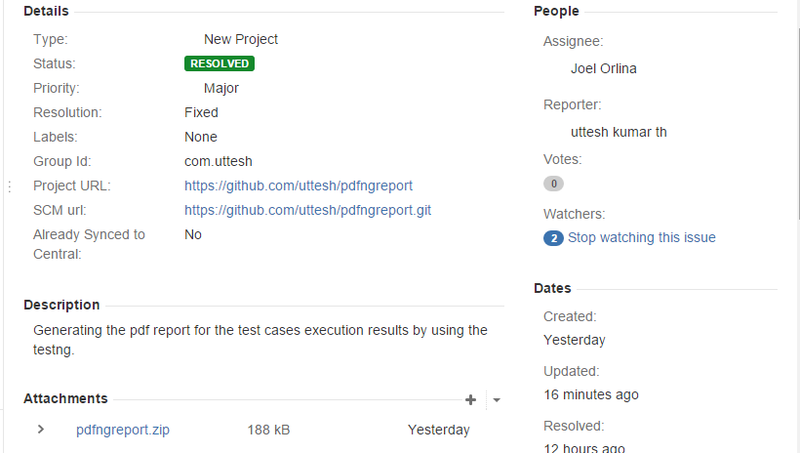 you will receive email with subject "[JIRA] (OSSRH-ID) you project description". This step is very important proper key should be created and all file should be signed. It is required for any artifacts you release to be signed. The easiest way to do this is by using GNU Privacy Guard. You will have to choose a passphrase when generating a key pair. After installing the gpg run the following command to create the key. It'll ask you a few questions. Time of validity for the key, just use the default value if you don’t have any special requirements. 3.Now you can upload your key to keyserver. Now you can sign you artifact manually or with maven plugin. This basically means that they have provided a staging repository for you where you can upload your artifacts (automatically or manually). From this staging repository you can then manually trigger a release to Maven Central. After the Maven build has finished successfully, log in to https://oss.sonatype.org and click the link “Staging Repositories” in the left-side navigation. In the opening tab, select your repository. This triggers some validation checks on the files you uploaded. You can see if those validations were successful by clicking on the “Activity”-tab in the bottom part of the screen and selecting the “close” node. If there were any errors, fix the errors and deploy again. A documentation of the validations that will be performed when closing a repository can be found here. Go to https://oss.sonatype.org/, login (right top angle) with your sonatype jira account. click "Staging Upload" from left side menu. After the upload make sure no error in after the upload in the active tab.Once all validations were successful, you can now promote the repository by clicking the “release” button. 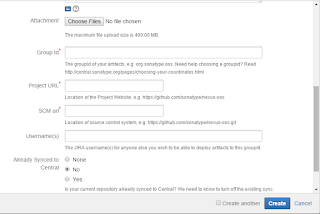 This means that you want the contents you uploaded into this repository to be released to Maven Central. After this has been done you should receive an email with the subject “Nexus: Promotion completed” and you should add a comment to the JIRA issue you created and wait for them to activate the sync to Maven Central. This may again take one or two working days. After this, your project has been successfully released to Maven Central and you can upload and then release repositories at any time without having to wait so long (repositories that have been successfully promoted once before will automatically be synced to Maven Central about every two hours from now on). 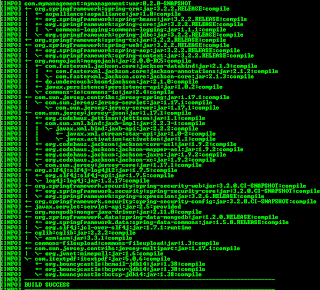 Apache commmon org.apache.commons.net.whois.WhoisClient class provides the domain details. But it will provide only the registry database contains ONLY .COM, .NET, .EDU domains and Registrars. Exciting Features In Java 8 That Will Change How We Code? 5 features that we feel an absolute must for you to know about. 4.New date / time APIs. Lambda expressions have taken the programming world by storm in the last few years. Most modern languages have adopted them as a fundamental part of functional programming. JVM based languages such as Scala, Groovy and Clojure have integrated them as key part of the language. And now, Java 8 is joining in on the fun. Java introduced a key concept into the language of internal iteration. Essentially as developers we’re used to use loop operations as one of the most basic programming idioms, right up there with if and else. This enable operations carried out on long arrays such as sorting, filtering and mapping to be carried out in parallel by the framework. here roster this a collection and by using the parallelStream() we are getting the person object by the gender and populating the map with gender as key and resulted collection as value. Java 8 implemented its own new date / time API from scratch. The good news is that unlike Calendar.getInstance(), the new APIs were designed with simplicity in mind, and clear operations to operate on manipulated values in both human readable and machine time formats. One of the most common scenarios in concurrent programming is updating of numeric counters accessed by multiple threads. There have been many idioms to do this over the years, starting from synchronized blocks,read/write locks to AtomicInteger(s). With Java 8 this problem is solved at the framework level with new concurrent accumulator classes that enable you to very efficiently increase / decrease the value of a counter in a thread safe manner.